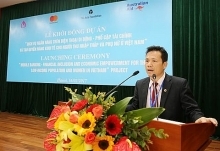 (VEN) - The Hanoi Stock Exchange (HNX) has operated markets smoothly, stably and safely with no malfunctions. By June 2018, some 377 companies were listed on the HNX, with total listed value of VND124 trillion and market capitalization of VND193 trillion. After a strong increase in the first quarter of the year, the HNX Index declined to end at 106.17 points by the end of June. 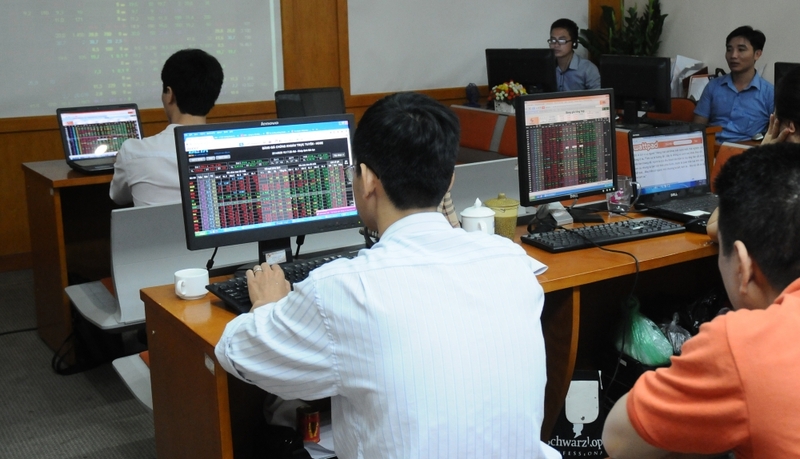 The average trading volume in the first half of the year reached 61 million shares per session with the average value of VND973 billion per session, an increase of 20 percent in volume and 76 percent in value compared to the same period last year. The UPCoM market continued to function steadily during the first half, with an additional 76 companies traded on the HNX, bringing the total number to 754. The market value at the end of June reached over VND648 trillion. Market liquidity continued to increase sharply, with trading volume of 20 million shares per session for the value of VND433 billion per session. Regarding the government bond market, total funds collected from government bond auctions in the first half of 2018 reached VND74.5 trillion. The average trading value of government bonds during the first half reached VND10.6 trillion per session. Of which, total value of repos trading (bond trading in which the seller or transferor commits to repurchase the bond after a certain time at a pre-determined price) accounted for 51.4 percent, while that of outright trading (bond trading without a repurchase agreement) accounted for the rest. The derivatives market has proved its attractiveness. The average trading volume on the market reached 45,767 contracts per session with value averaging VND4.66 trillion per session. As of June, total open market volume was 11,812 contracts. The HNX attributed the increase of the open market volume to investors’ interest in derivatives products, as demonstrated by the double growth of trading account numbers against the end of 2017 to 35,275 accounts. The HNX will continue to run markets smoothly and safely in the last half of the year, as well as improve its quality and scale. In addition, the HNX will also coordinate with the State Securities Commission to perfect regulations and disseminate new documents in terms of equitization and divestment of state-owned enterprises. The HNX will modernize the government bond trading system and add new products, finalize the project on restructuring the government bond market, and submit the plan for five-year government bond future contracts to the Ministry of Finance for approval.